Stephen Drury's performances of music written in the last hundred years, ranging from the piano sonatas of Charles Ives to works by György Ligeti, Frederic Rzewski and John Cage have received the highest critical acclaim. 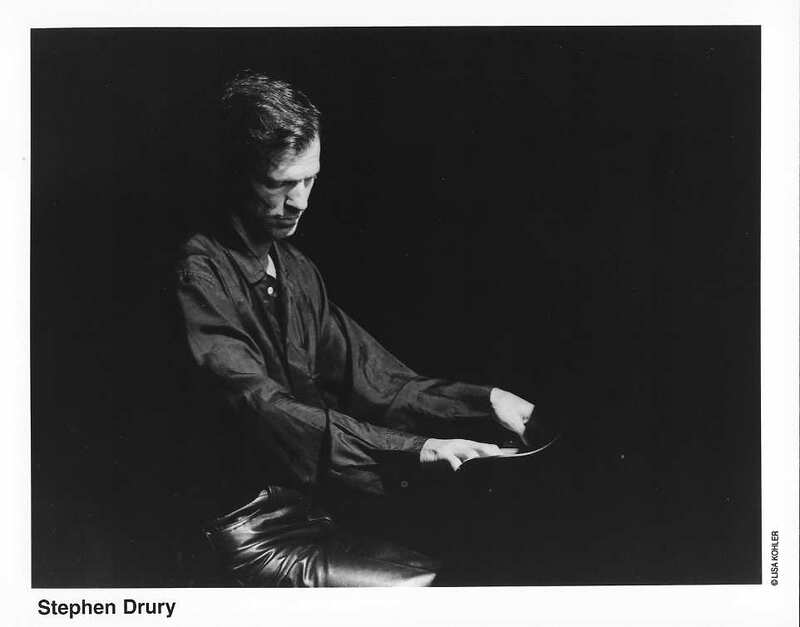 Drury has worked closely with many of the leading composers of our time, including Cage, Ligeti, Rzewski, Steve Reich, Olivier Messiaen, John Zorn, Luciano Berio, Helmut Lachenmann, Christian Wolff, Jonathan Harvey, Michael Finnissy, Lee Hyla and John Luther Adams. Drury has appeared at the MusikTriennale Koln in Germany, the Subtropics Festival in Miami, and the North American New Music Festival in Buffalo as well as at Roulette, the Knitting Factory, Tonic and The Stone in New York. At Spoleto USA, the Angelica Festival in Bologna and Oberlin Conservatory he performed as both conductor and pianist. He has conducted the Britten Sinfonia in England, the Santa Cruz New Music Works Ensemble, and the Harvard Group for New Music. 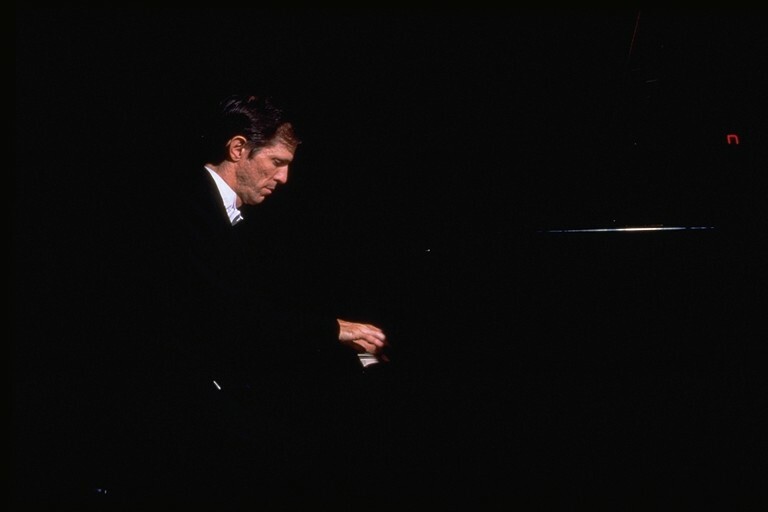 In 1988 - 1989 he organized a year-long festival of the music of John Cage which led to a request from the composer to perform the solo piano part in Cage's 1O1, premiered with the Boston Symphony Orchestra in April, 1989. 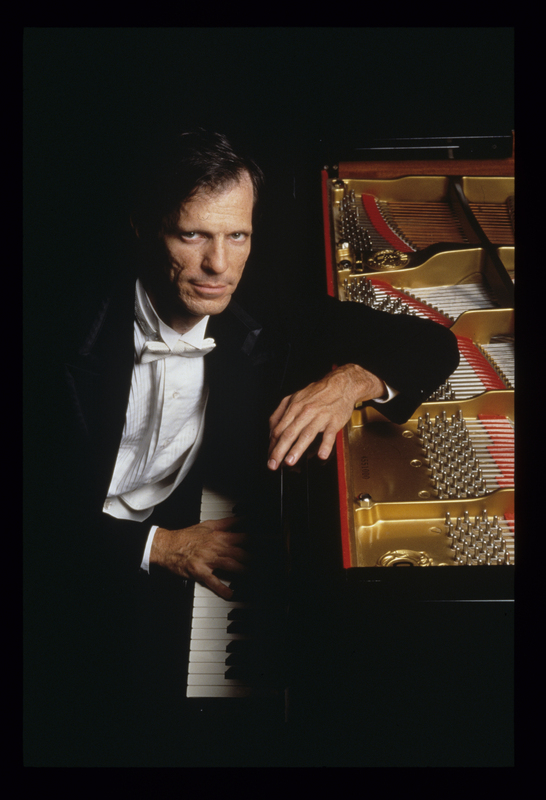 In 2009 Drury performed the solo piano part in the Fourth Symphony of Charles Ives, again with the Boston Symphony Orchestra, under Alan Gilbert. 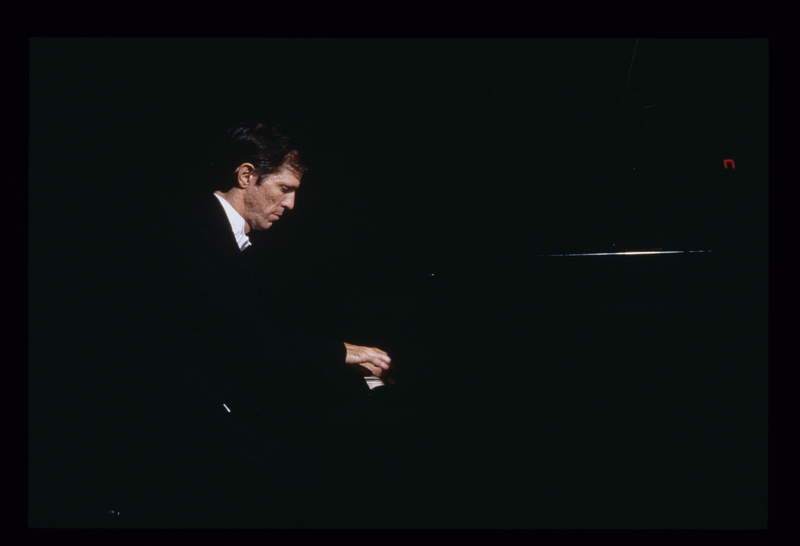 In 1999 Drury was invited by choreographer Merce Cunningham to perform onstage with Cunningham and Mikhail Barishnikov as part of the Lincoln Center Festival. Drury has also appeared in New York at Alice Tully Hall as part of the Great Day in New York Festival and on the Bargemusic series, in Boston with the Boston Symphony Chamber Players and as soloist with the Boston Modern Orchestra Project, and with the Seattle Chamber Players in Seattle and Moscow at the International Music Festival “Images of Contemporary American Music”. In 2003 he performed and taught at the Mannes College of Music’s Beethoven Institute; in 2005 he returned to Mannes to play and teach at the Institute and Festival for Contemporary Performance. That summer he was also the piano faculty at the Bang on a Can Summer Institute. In 2006, Drury’s performance of Frederic Rzewski’s “The People United Will Never Be Defeated!” at the Gilmore Keyboard Festival was a sensation; he was invited back in 2008 to premiere Rzewski’s Natural Things with the Opus 21 Ensemble at the Gilmore Festival in Michigan and Carnegie’s Zankel Hall in New York as part of the composer’s 70th birthday. That same summer Drury appeared at Bard College’s SUMMERSCAPE Festival, and at the Cité de la Musique in Paris for a week-long celebration of the music of John Zorn. In 2007 he was invited to León, Mexico to perform music by Rzewski, Zorn and Cage at the International Festival of Contemporary Art. 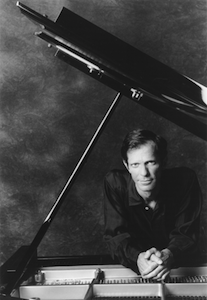 Drury has commissioned new works for solo piano from John Cage, John Zorn, John Luther Adams, Terry Riley, and Chinary Ung with funding provided by Meet The Composer. He has performed with Zorn in Paris, Vienna, London, Brussels, and New York, and conducted Zorn's music in Bologna, Boston, Chicago, and in the UK and Costa Rica. In March of 1995 he gave the first performance of Zorn's concerto for piano and orchestra Aporias with Dennis Russell Davies and the Cologne Radio Symphony Orchestra. Later that same season he gave the premiere of Basic Training for solo piano, written for him by Lee Hyla. Drury has recorded the music of John Cage, Elliott Carter, Charles Ives, Karlheinz Stockhausen, Colin McPhee, John Zorn, John Luther Adams and Frederic Rzewski, as well as works of Liszt and Beethoven, for Mode, New Albion, Catalyst, Tzadik, Avant, MusicMasters, Cold Blue, New World and Neuma. 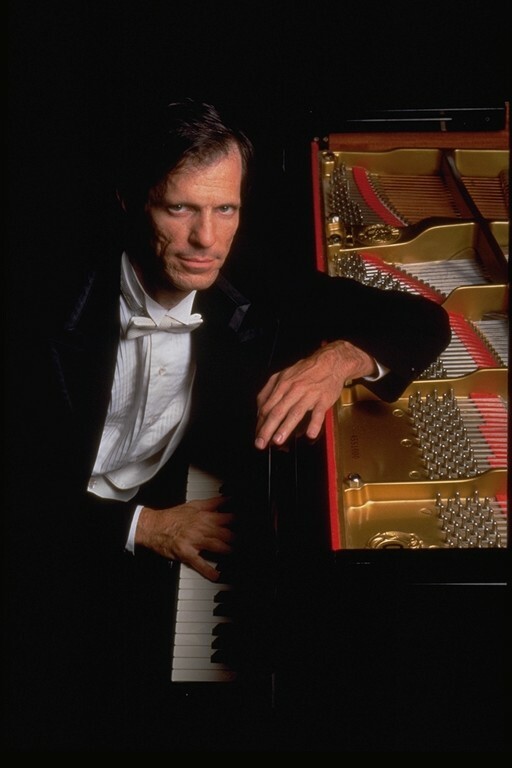 Stephen Drury has given masterclasses at the Moscow Tchaikovsky Conservatory, Mannes Beethoven Institute, and Oberlin Conservatory, and in Japan, Romania, Argentina, Costa Rica, Denmark, and throughout the United States, and served on juries for the Concert Artist Guild, Gaudeamus and Orléans Concours International de Piano XXème Siècle Competitions. Drury is artistic director and conductor of the Callithumpian Consort, and he created and directs the Summer Institute for Contemporary Performance Practice at New England Conservatory. Drury earned his undergraduate degree for Harvard College, and has also earned the New England Conservatory's select Artist Diploma. His teachers have included Claudio Arrau, Patricia Zander, William Masselos, Margaret Ott, and Theodore Lettvin, and conducting with Donald Thulean. He teaches at New England Conservatory, where he has directed festivals of the music of John Cage, Steve Reich, and (in 2010) Christian Wolff. Photos by Lisa Kohler (click on the images for high resolution JPG files).